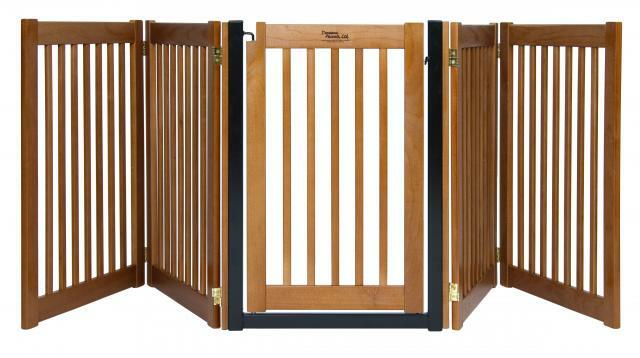 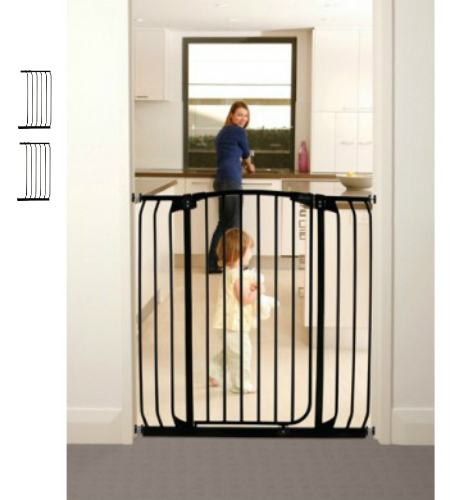 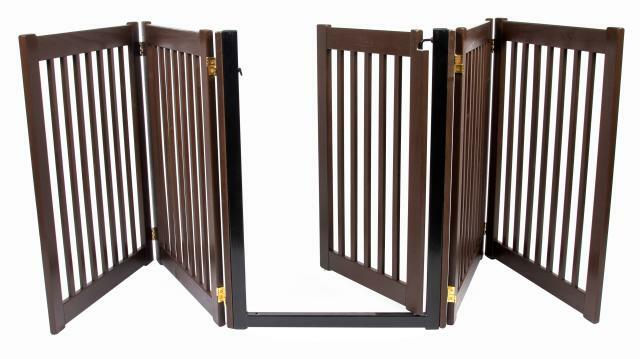 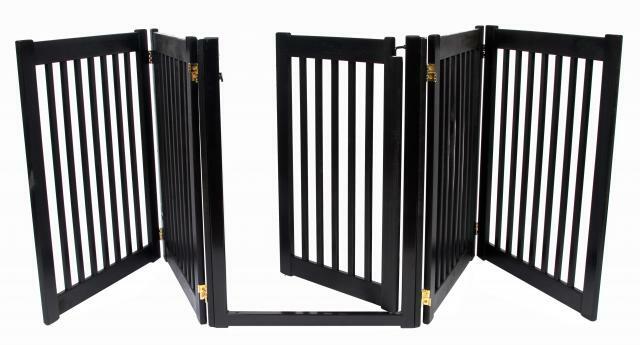 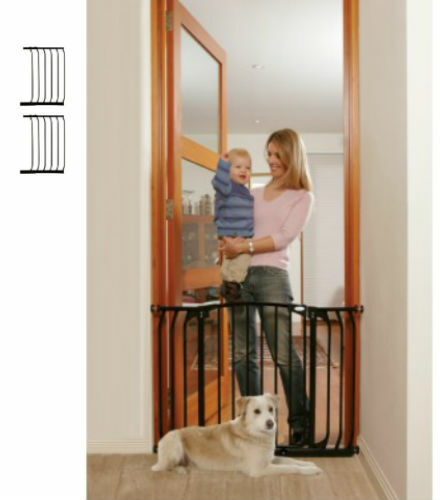 The Extra Tall Swing Close Security Pet Gate in Black is very easy to set up and take down. 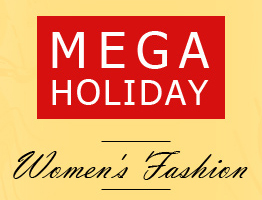 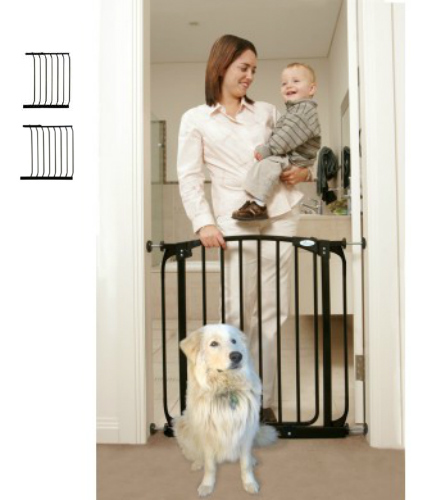 This package includes one 21 and one 24.5 inch extension and will reach a width of 75 to 77 inches. 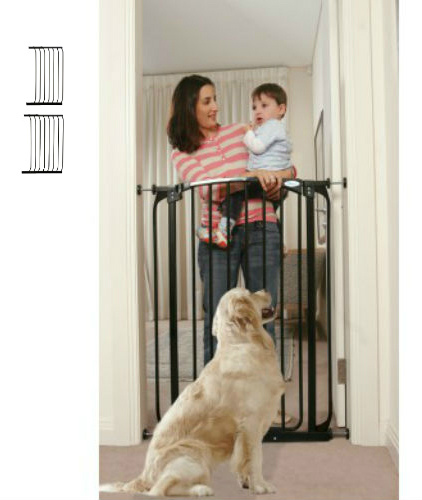 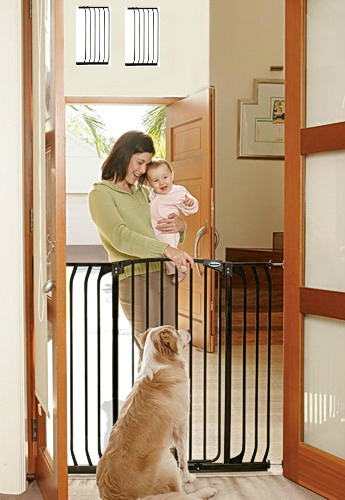 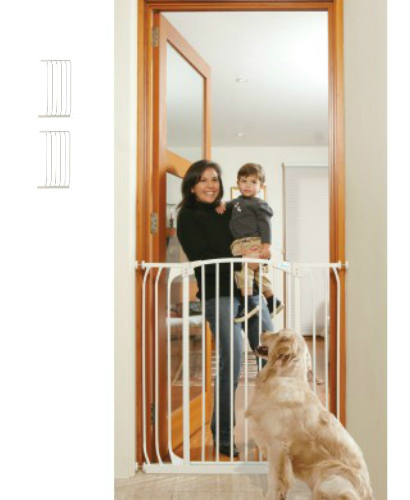 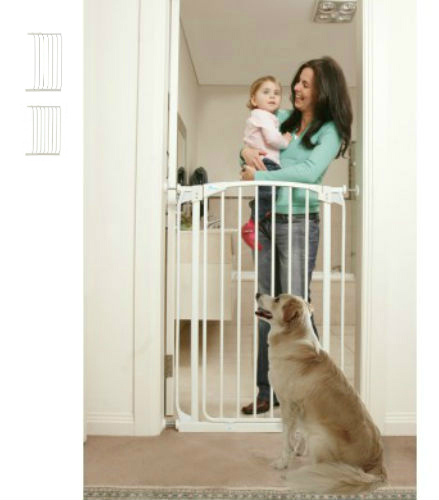 The Extra Tall Swing Close Security Pet Gate in White is very easy to set up and take down. 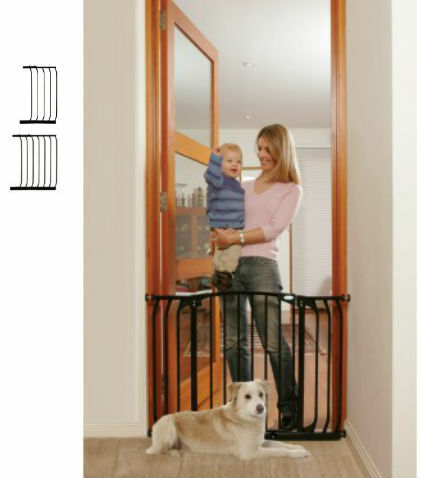 This package includes one 21 and one 24.5 inch extension and will reach a width of 75 to 77 inches.